The practical application of Roman law and the era of the European Ius Commune came to an end, when national codifications were made. In 1804, the French civil code came into force. In the course of the 19th century, many European states either adopted the French model or drafted their own codes. In Germany, the political situation made the creation of a national code of laws impossible. 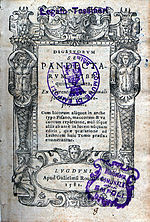 From the 17th century, Roman law in Germany had been heavily influenced by domestic (customary) law, and it was called usus modernus Pandectarum. In some parts of Germany, Roman law continued to be applied until the German civil code (Bürgerliches Gesetzbuch, BGB) came into force in 1900. Herbermann, Charles, ed. (1913). "Roman Law" . Catholic Encyclopedia. New York: Robert Appleton Company.